SpaceX Falcon heavy rocket next launch from Florida’s Space Coast has been pushed back to Tuesday, April 9. The megarocket will lift off from historic Pad 39A at NASA’s Kennedy Space Center carrying the Arabsat 6A communications satellite. Although this is the second launch of the world’s most powerful rocket, it will be its first commercial mission. Its maiden launch was a demonstration flight on February 6, last year, when Elon Musk’s cherry-red Roadster and a Starman dummy pilot were sent into space. 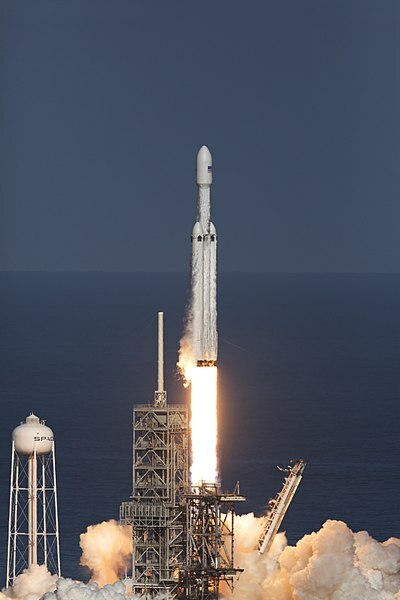 The Falcon Heavy will be delivering the Arabsat 6A communications satellite into geostationary orbit, providing communication coverage over the Middle East and North Africa regions, as well as a footprint in South Africa. The Arabsat 6A communications satellite is made by Arabsat of Saudi Arabia. This is not the only objective of the upcoming launch, the company will also attempt to recover all three of the first-stage boosters: two returning back to Florida coast and one on SpaceX’s floating platforms in the Atlantic Ocean. According to Space Coast Daily.